D.V.Ravi Kiran - DBA-20, K.Vamshi-DBA-26,Ch.Pradeep-DBA-27 and B.Surendra Babu Naik -DBA-23 won -First prize for the event "Group Discussion" in the Commerce Fest ''CYNOSURE" held by K L University on 5th Novomber , 2018. 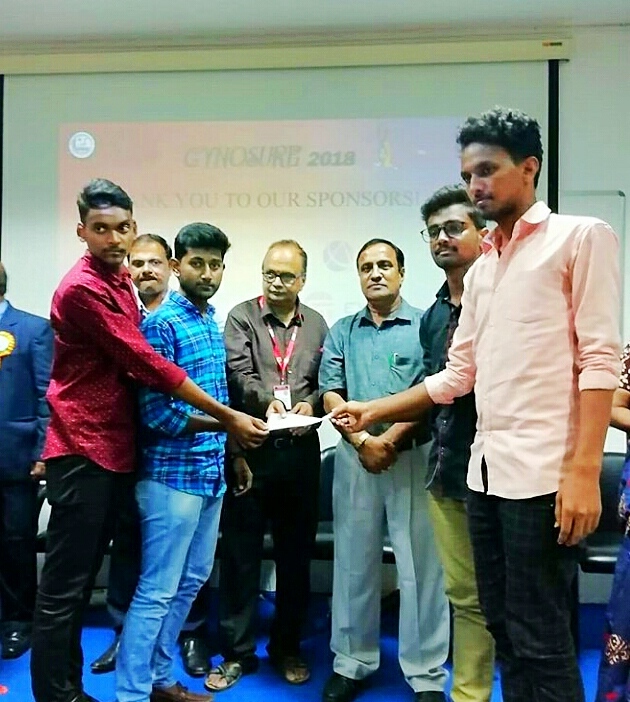 Ch.Pradeep-Dba-27, K.Vamshi-DBA-26, D.V.Ravi Kiran-DBA-20 and M.Giridhar Pavan-DBA-14 won-Third Prize for the event "Business Quiz" in the Commerce Fest ''CYNOSURE" held by K L University on 5th Novomber , 2018. Hitesh Golani-DBA-49 and B.Surendra Babu Naik-DBA-23 won Third Place in the event "Memory Zoobies" in the Commerce Fest "LAKSHYA 2018" held by Siddartha Mahila Kalasala on 27th November,2018. N.Satya-NBA-16, Y.Priyanka-NBA-15, Komal Dugar-NBA-30 and K.Jasmine-ABA-63 won First Place for the event "Product launch" in the Management Fest "Lumicate" held by Maris Stella College on 7th September,2017. N.Satya-NBA-16, D.V.Ravi Kiran-NBA-20, Komal Dugar-NBA-30 and K.Jasmine-ABA-63 won First Place for the event "Product launch" in the Management Fest "CONFLUENCIA 2018" held by KBN College on 25th January,2018. T.Sravani - DBA-39 and .M Venkatesh -DBA-14 won -First prize for the event "Business Plan" in the Management Fest ''Brain Stromers" held by Nalanda Degree College on 15th September, 2017. T.Sravani-DBA-39 & M.Bharath Chand -DBA-32 ,M.Vamsi Krishna DBA -29 and Komal Dugar NBA-30 ,won -First prize for the event "Product Launch "in the Management Fest "Brain Stromers " held by Nalanda Degree College on 16th September ,2017. Y.Priyanka-NBA-15 Won -First prize for the event "Case Study " in the Management Fest "Brain Stromers " held by Nalanda Degree College on 15th September, 2017. P.Naga Harika -DBA-23 and Y.Sandeep -NBA-40 won -First prize for the event "FaceBook Contest '' in the Management Fest "Brain Stromers " held by Nalanda Degree College on 15th September ,2017. S.Pavan Kumar -DBA-05 Won -First prize for the event "Spot Photography" in the Management Fest "Brain Stromers " held by Nalanda Degree College on 16 th September, 2017. M.Vamsi Krishna-DBA-29 ,Y.Sanajay Kumar -DBA-11 & B.Bharath Chand -DBA-32 won -First Prize for the event "Quiz" in the Cultural and Literary Fest " SPOORTHI " conducted by Andhra Loyola college on 25 th November ,2017. P.Paramesh-DBA-04 & A.Satya Sai Jayasurya -DBA-38 got Third Prize in the event "Telugu Debate " in the Cultural and Literary "Fest "SPOORTHI" conducted by Andhra Loyola College on 25 th November, 2017. A.Aswini Kumari -DBA-22 ,T.Sravani -DBA-39 & V.Sai Lakshmi -DBA- 50 got First Prize in the event "Rangoli'' in the Cultural and Literary Fest ''SPOORTHI'' Conducted by Andhra Loyola College on 25 th November, 2017. T.Srvanai -DBA-39 and M.Venkatesh -DBA-14 got Third Prize in the event "Collage" in the Cultural and Literary fest "SPOORTHI" Conducted by Andhra Loyola Collge on 25 th November ,2017. Y.Sanjay Kumar -DBA-11 & M. Vamsi Krishna -DBA -29 won First Prize in the event "Quiz" in an Inter -College Cultural Fest "Krishna Tanrang" organised by Krishna University on 4th ,5th & 6 th December ,2017 . T.Sravani -DBA-39 Won Second Prize in the event "Elocution in the Inter -College Youth festival "Krishna Tarang " organised by Krishna University on 4th,5th & 6th December,2017. T.Sravani -DBA-39 Got Third place in the event "Debate" in Inter college Youth festival "Krishna Tarang " organised by Krishna University on 4th, 5th,& 6th December,2017. 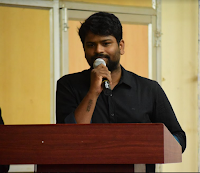 M.Vamsi Krishna -DBA-29,B. Bhrath Chand -DBA-32,T.Sravani-DBA-39 & Komal Dugar -NBA-30 got First Prize in the event "Product launch " in the Management Fest "INCENDO" organised by P.B.Siddhartha College of Arts and Science on 6th December ,2017. T.Sravani -DBA-39 Got Second prize for "Debate" in the Management Fest "INCENDO" organised by P.B.Siddhartha College of Arts and Science on 6th,December ,2017. A.Venkata Asuini Kumari -DBA-22, S.Kumar Raja - DBA-33,D.Ravi Kiran -NBA-20 & G.Arun Kumar -NBA-45 got Second Place in the event "MIND IT" in the Management "INCENDO" organised by P.B.Siddhartha College of Arts and Science on 6th December,2017. S.Pawan Kumar-DBA-05 , G.Vinay Kumar -DBA-31 & Y.Priyanka -NBA -15 got Second Place in :"TRUP UP" in the Management Fest "INCENDO" organised by P.B.Siddhartha College of Arts and Science on 6 th December ,2017. G.Swamy -ABA-49 Got First prize in "ETHNIC WEAR" Competition on "Ethnic Day" organised by Andhra Loyola college on 9 th December, 2017. Parth Jain -DBA-08 & Y.Sanjay Kumar -DBA-11 got First Prize in "QUIZ' in the Management Fest "CONFLUENCE" conducted by Aditya Degree College, Kakinada on 16 th December, 2017. M.Vamsi Krishna -DBA-29 ,B.Bharath Chand -DBA-32 & T.Sravani -DBA-39 got First Prize in the event "Product Launch "in the Management Fest "CONFLUENCE" organised by Aditya Degree college ,Kakinada on 16 th December, 2017. Students of the Department of BBA got OVER ALL Championship in Management Meet ''BRAIN STORMERS" conducted by Nalanda Degree College on 16 th September, 2017. 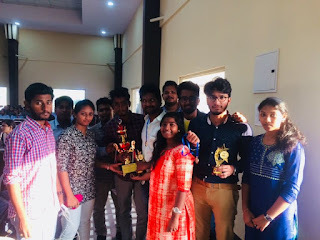 Students of the Department of BBA got Over all Championship in the Management Meet "INCENDO" organised P.B. Siddhartha College of Arts and Sciences on 6 th December, 2017. Students of the Department of BBA got OVER ALL Championship in Management Meet "CONFLUENCE" conducted by Aditya Degree College on 16 th December, 2017. Students of BBA Dept participated in the fest " Luminate " held at Maris Stella College . Sowmitri - ABA- 34 Won first prize in Product Launch. Students of BBA Dept participated in the fest " Incendo 2k16 " held at P.B.Siddartha college. Venkatesh-NBA won first prize in IPL. 3. Payal Bose - DBA-31 won Ms.Incendo Title. Date: 10th, 11th September 2016. Organiser: St.Joseph's College of Commerce,Banglore. Our students Payal Bose (DBA-31) Deborah (DBA-07) have participated in the National Level fest "Chanakya 2k16" Held in Banglore. The fest also included students from around the world. Students of BBA paticipated in the fest "Impulse" and secured the following prizes. 1. Payal Bose (DBA-31) - won first prize in Presentia. Organiser: Vijaya Institute of technology for women. Our students participated in the fest called " Virtuoso" and bagged the following prizes. 1.Payal Bose (DBA-31) Solo dance-First place. Our Students participated in the fest called "Conquest" and won the following prizes. 1. Payal Bose - DBA-31 in Debate-First Place. 1)S.V.N.M.Karthik (DBA-33), Akshay Jain (DBA-06) and k.k Raju (DBA-42) and Pavan (ABA-05) won first place in the event Vroom conducted by GITAM university in Visakhapatnam on 11th & 12th December 2015. 2) Hemanth kumar (DBA-20) won first prize in business quiz conducted by Gowtham Degree college on 9th January 2016. 3)G.Bhargav kumar (DBBA-02), B.Gopi Krishna(DBBA-15) and M.sindhura (DBA-44) won first prize in HR event conducted by Aditya Degree college in kakinada on 20th September 2015. 4)Hemanth kumar (DBA-20) won first prize in finance event conducted by Aditya degree college in Kakinada on 20th September,2015. 5)K.J.Suman (DBA-39) , Prabhu kiran ( NBA-16) , won in team team building event in gayathri management school in Vizagapatam on 4th December 2015. 6)B.Gopi Krishna (DBA-15) won first prize in the HR event conducted by Goutham degree college on 9th January 2016. 7)B.Gopi Krishna(DBA-15), B.Haritha (DBA-14) won first place in product launch conducted by Maris Stella college on 20th January 2016. 8)B.Vijay Kumar(DBA-27) won second prize in Ramp walk conducted by Goutham degree college on 9th January 2016. 9)B.Dinesh (NBA-19) won first prize in debate held at KBN degree college on 12th December 2015. 10) Prabhu kiran (NBA-16), T.SaiTeja (NBA-08) won second prize in problem solving held at KBN College on 12th December 2015. 11) K.Srinivas (ABA-20) won the title Mr. 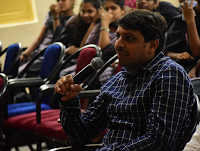 Entrepreneur at P.B Siddhartha at Explora on 8th December 2015. 12) M.Venusree (NBA-44) won the title Ms.Niveda on the occasion of swami Vivekananda's 153rd birthday on 12th January 2016. 13) Payal Bose (NBA-31) won first place for solo dance in Maris Stella College on 20th November 2015. 14) P.Eknadh Gopi (NBA-34), Hemanth (DBA-20) won first place in stock market event conducted in Aditya Degree College at Kakinada on 30th September 2015. 15) K.Deborah (NBA-07) won second place in group discussion in Maris Stella College on 20th November 2015. 16) Y.Venkanna (NBA-39) , P.Eknadh (NBA-34) , Hemanth (DBA-20) won first prize in business quiz conducted at Goutham Degree college on 9th January 2016. 17) Y.Venkanna (NBA-39), P.Eknadh (NBA-34) won first prize in Ramp walk in Goutham Degree College on 9th January 2016. On 7th Feb 2015 B.Gopi Krishna won the 2nd Prize in Building Business manager held at westin college , Vijayawada. On 7th Feb 2015 M.Sindhura won the consolation prize in Mock - Icet held at Vijaya Institute for Mnagement Studies for women. On 7th Feb B.Haritha won the 1st Prize in PPT & also won the title Miss Virtuoso 2k15 held at Vijaya Institute of Management for Women. On 7th Feb 2015 Payal Bose won the 1st Prize in Mock - Icet and also 1st prize in solo dance competition (Classical) held at Vijaya Institute of Management Studies for Women. On 7th Feb 2015 , Maneesha won the 1st Pize in PPT , held at Vijaya institute of Management for Women. J.Bhargav (DBBA-09) and M.Bharath (DBBA-25) won the First prize in Business Quiz at the " Management Meet 2013 " organised by KBN College , Vijayawada, on 21st December 2013. R.Sushan (NBBA-11) won the First prize in Eloctution at the Management Meet 2013 organised by KBN College , vijayawada, on 21st December 2013. V.Mahesh (DBBA- 17) won the First prize in the event Product launching at the Managment Meet organised by the KBN College , vijayawada ,on 20 December 2013. J.Bhargav (DBBA09) , M.Bharath (DBBA-25) and K.Prem Swaroop (DBBA-18) won the First Prize in Business Quiz at Magnova-2013-a state level Management Fest Conducted by the student Association of Management studies , organised by P.B.Siddhartha College of Arts & Science , Vijayawada , on 28 December 2013. Mahesh (DBBA-17) and R.Sushan (NBBA-11) won the first prize in the event product launching at Magnova 2013-a state level Management Fest organised by the students Association of Management studies, organised by P.B.Siddhartha College of Arts and Science,Vijayawada,on 28 December 2013. R.Sushan (NBBA-11) and Mahesh Patil (DBBA-17) won the first prize in the event AVENUE at Magnova 2013- a state level Management Fest organised by the students Association of the Management studies P.B.Siddhartha College of Arts and Science,Vijayawada,on 28 Dec 2013. Y.Ajay (DBBA-21),G.Sravani (DBBA-32) and Sruthi(DBBA-05) wonthe first prize in the event Talent Pool at Magnova 2013-a state level Management Fest organised by the students Association of Management studies, P.B.Siddhartha College of Arts and Science,Vijayawada,on 28 December,2013. J.Bhargav (DBBA-09) won the first prize in Business Quiz at the Brainstomers'13 organized by Nalanda Degree College , Vijayawada , on 30th December , 2013. Mahesh (DBBA-17) won the First Prize in the event Mr.Perfect at the Brainstomers'13 organised by Nalanda Degree College , Vijayawada on 30th December , 2013. 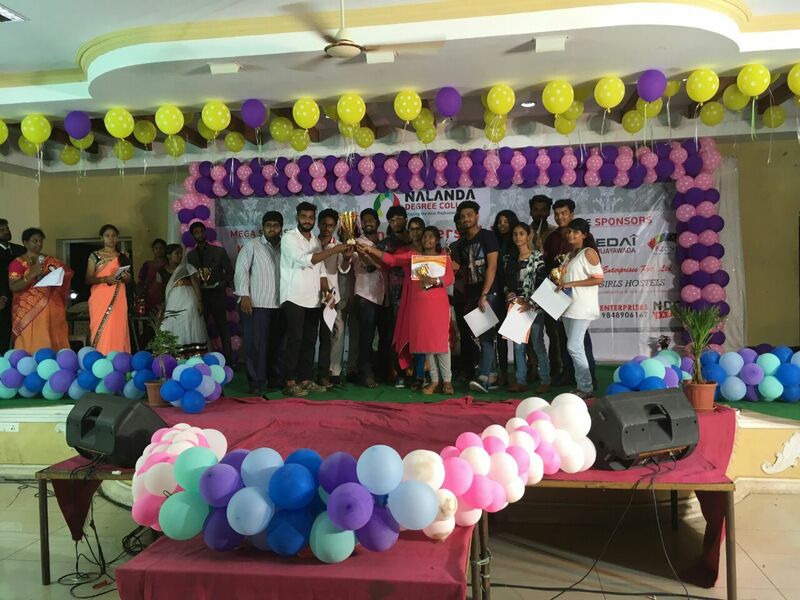 Mahesh (DBBA-17) , Bhavana (DBBA-22) , M.Shruthi ( DBBA-05) won the First Prize in Product Launching at the Brainstomers'13 organised by Nalanda Degree College , Vijayawada , on 30th December, 2013. M.Bharath (DBBA-25) and K.Prem Swaroop (DBBA-18) won the First Prize in Business Quiz at " Camfest" organised by V.S.Lakshmi Womens Degree College ,Kakinada , on 4th January , 2014. R.Sushan (NBBA-11) stood as the Runner up in the event installation at " Krishna Tarang " - Inter Collegiate Youth Festival , organised by Krsihan University , Machilipatnam , during 7th - 9th December 2013 at KBN College , Vijayawada . R.Sushan (NBBA-11) won the Second Prize in the Paper Presentation competition at "Camfest" organised by V.S.Lakshmi womens Degree College , Kakinada, on 4th January 2014. Venkatesh (NBBA-15) nad R.Sushan (NBBA-11) won the Third Prize in Debate at the Krishna University inter-college Youth Festival "Krishan Tarang " organised by Krishna University , Machilipatnam , during 7th-9th December 2013 at KBN College , Vijayawada. Mahesh (DBBA-17) won the Third Prize in Product launching at "Campusfest" organised by V.S.Lakshmi Womens Degree College , Kakinada on 4th January , 2014. On 28th July 2014 Venkatesh (DBBA-15) won the 3rd Prize in the event of ' Mobiliography' conducted bt the Students of Visual Communication PG at ALC , Vijayawada. On August 2014 Prabhu Teja (DBBA-05) won 1st prize in General Quiz organized by Sidhartha Mahila Kalasala , Vijayawada on the Occasion of the Birth of Tanguturi Prakasham Panthulu. 10th september 2014 Management meet at Adithya Degree College R.Sushan (DBBA-11) won the First Prize in the event of Young Entrepreneur. J.K Yohan (DBBA-04) , M.Levi (DBBA_16) won the 2nd Prize in the HR event. Ms.Haritha (NBBA-14) and Mr.Sai Teja (NBBA-29) won the 1st Prize in the event of Marketing . CH.Soma Raju (DBBA-13) and Arjun (ABBA-01) won the 2nd Prize in the event of Play Zone . And have achieved the Over all Championship of this Meet. 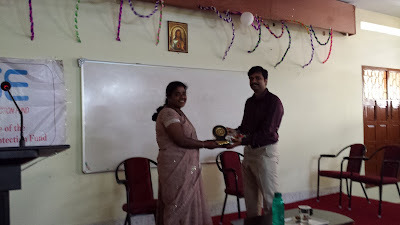 1st November 2014 Management Meet At Samhitha Degree College Ms. Manisha won the 1st Prize in the event of Woxopreneur. Susan (ABBA-11) won the First Prize in the event Personality Development at Brain Stormers 2012 conducted by Nalanda College, Vijayawada, on 22nd October 2012. Venkatesh (ABBA-15) won the First Prize in the event Mock Press at AURA 2012 conducted by St.Theresa Degree College, Eluru, on 27th November 2012. Bhargav (NBBA-09), Mahesh Patil (NBBA-17) and Bharath (NBBA-25) won the First Prize in Quiz conducted by Nalanda Degree College, Vijayawada, on 27th November 2012. Bhargav (NBBA-09) and Mahesh Patil (NBBA-17) won the First Prize in the event Ad Making conducted by VS Lakshmi College, Kakinada, on 8th December 2012. G. Sree Prasanna (NBBA-32) won the Second Prize in the event Quick Talk at AURA 2012 conducted by St.Theresa Degree College, Eluru, on 27th November 2012. Bhargav (NBBA-09) and Mahesh Patil (NBBA-17) won the Second Prize in the event Quiz conducted by VS Lakshmi College, Kakinada, on 8th December 2012. G. Sree Prasanna (NBBA-32) won the Third Prize in the event Elocution at “COGNITION-2012” conducted by Nalanda Degree College, Vijayawada, on 28th November 2012. Manus 2k19 was conducted on Feb 7th & 8th by the dept of BBA. It was a National Level Management & Cultural Fest where students from all over South India came and participated. About 550+ students from more than 45 colleges came for the meet. Honorable Guests for the Inaugural session were Shri. M. V. MUTYALA RAO & Shri. VENKATA VEERAMACHANENI. Honorable Guests for the Valedictory session were Shri. 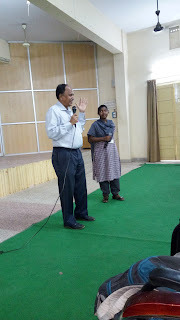 R. V. RAJEEV REDDY & B. R. RAGHAVENDRA KUMAR . The overall championship was backed by Maris Stella College, Vijayawada. 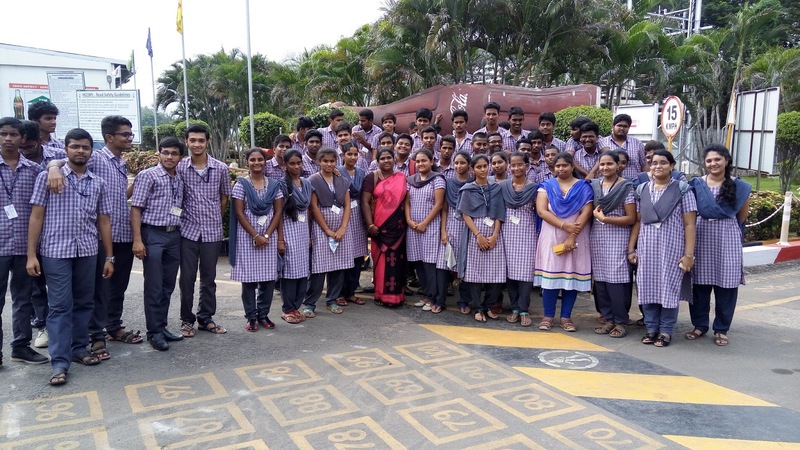 On 15th September 2018, all the students of the 2nd year were taken for an Industrial visit to Jocil Ltd., Guntur. Mr.T.Jadesh and Ms.K.Pavani was along with the students during the trip. The students were taken inside the industry and were explained clearly about the machinery and working of staff.
" 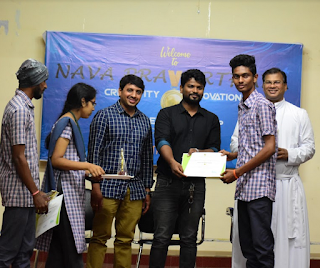 NAVAPRAVARTHAKA 2K18 " was conducted for students of Andhra Loyola College of various departments. The event was held in 2 rounds. In the Final round, the selected team members were asked to present a ppt on any Business Proposal of their choice. 8 teams were selected. 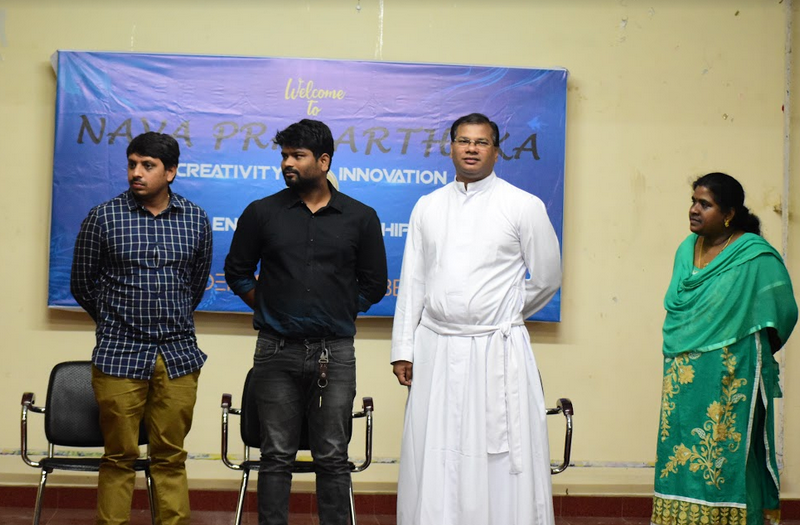 Mr. G. Sree Tirumula, Co-Founder of I-Digital, Vijayawada was the Chief Guest and Mr. Rama Krishna, Co-Founder of I-Digital, Vijayawada as Guest Of Honor. Certificates and Prizes are given to all the winner and participants of the event by Rev. Fr. Melchior, Vice-Principal. Around 180 students have attended this session. The Vice-Principal of Andhra Loyola College, Rev. Fr. Melchior, D. Uma Kumari HOD of BBA and other faculty members of BBA dept. have organized. The chief guest has been felicitated by Rev. Fr. Melchior. 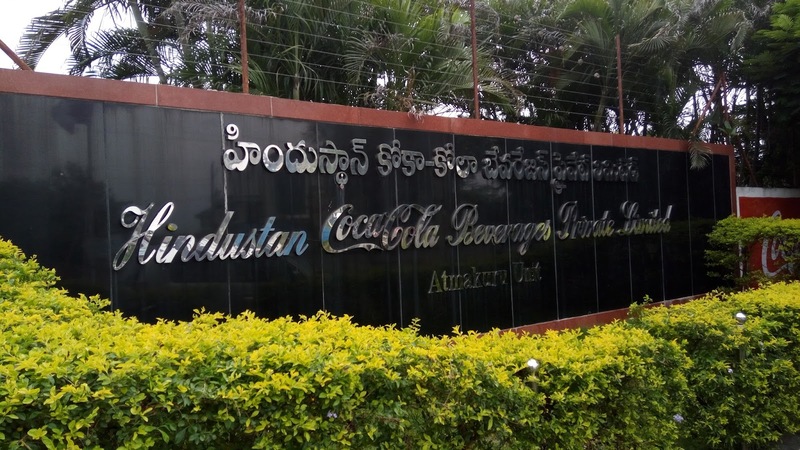 On 14th September 2018, all the students of the 1st year were taken for an Industrial visit to Coca-Cola factory, Atmakuru. Mr.P.Ramesh and Ms.Md.Shabana Begum was along with the students during the trip. The students were taken inside the industry and were explained clearly about the machinery and working of staff. All the students were offered free drinks from their brand. A National Level Seminar on “Groups, Teams, and Dynamics& Strategies” has been organized by the Department of BBA, Andhra Loyola College, on 4th September 2017.One of the eminent authors of India, Prof. P. SUBBA RAO garu, Pro. Vice-Chancellor, The University of PAPUA NEW GUINEA, Australia, Chief Guest of this session stated that we can achieve more if we are united. He gave a different view of the Teams, Strategies, and Dynamics. Many enthusiastic students from different colleges like Westin, P.B. Siddhartha, and Gowtam Degree Colleges. 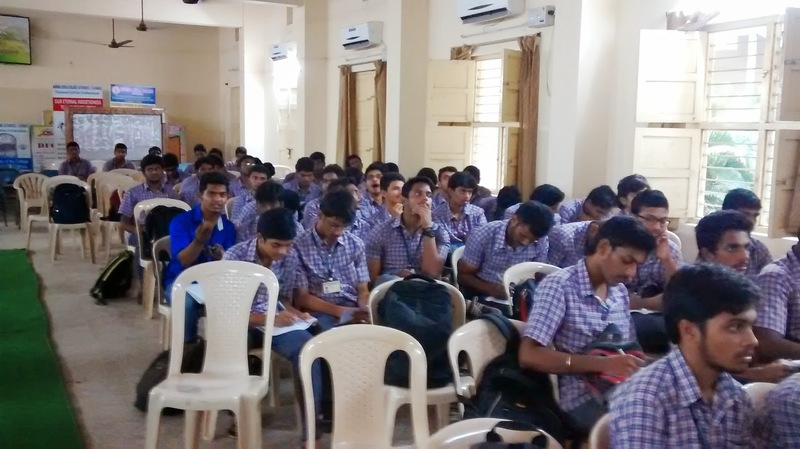 Around 180 students have attended this session. 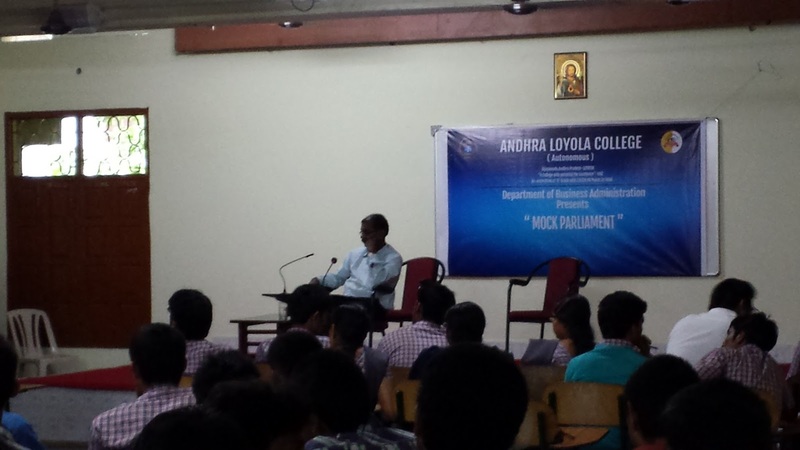 The Vice Principal of Andhra Loyola College, Rev. Fr. 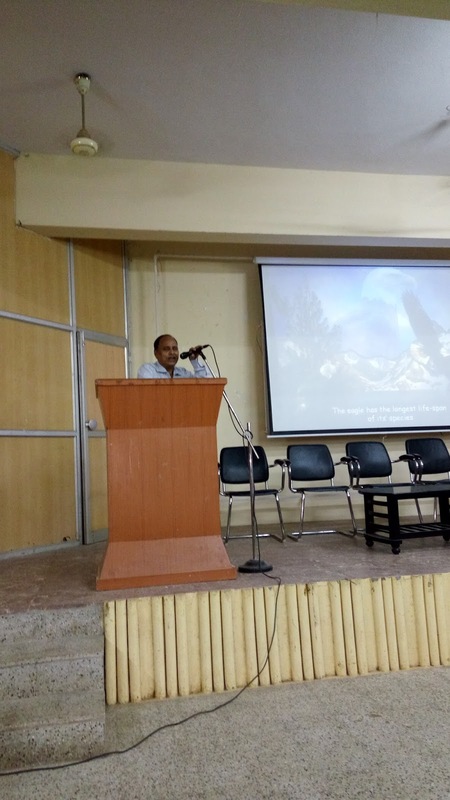 Melchior, D. Uma Kumari HOD of BBA and other faculty members of BBA dept and the faculty members of other colleges also have graced this session. The chief guest has been felicitated by Fr.Melchior. On 4th September 2017, all the students of the 1st year were taken for an Industrial visit to Coca-Cola factory, Atmakuru. Mr.T.Jagadish and Ms.E.Theresa Rani were along with the students during the trip. The students were taken inside the industry and were explained clearly about the machinery and working of staff. All the students were offered free drinks from their brand. On 7thSeptember 2017 all the students of the 1st year were taken for an Industrial trip to “Mithra Kyokuto Spv Co”., Gannavram. Mr.T.Jagadish and Ms.E.Theresa Rani were along with the students during the trip. The students were taken inside the industry and were explained clearly about the machinery, policies, marketing, production and working of staff. Manus 2k17 was conducted on Feb 9th & 10th by the dept of BBA. It was a National level management & cultural fest where students from all over south India came and participated. About 450+ students from more than 40 colleges came for the meet. Chief Guest & Guest of Honour for the Inaugural session were P.V.Seshaiah & Rajesh Myneni respectively. Chief Guest & Guest of Honour for the valedictory session were C.M.Builders Trio & Indra Reddy respectively. The overall championship was backed by Sri Gayathri Vidya Parishad, Vishakapatnam. The Department of BBA has conducted their Annual Management Meet, “MANUS-2k16” powered by Maxivision and Santhosh Honda. Over 750 students from around 50 colleges stepped out of their classrooms on 8th and 9th of February 2016 to take part in the groundbreaking event. The Chief Guest for the inauguration was Sri. 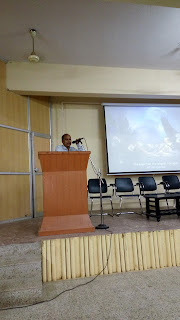 M. Murali Krishna, COO of Maxivision and Guest of Honour Rev. Jai Pal, a Motivational speaker. There were all together 14 events consisting of 8 Management events like Business quiz, Ad-making, Product launch, B.Plan, Women Entrepreneur. 4 Cultural events like Treasure hunt, Group dance, Best out of waste and Mr. & Ms. MANUS. And participants even showed great interest in spot events namely Mock MAT and Photography. The overall trophy was won by PB.Siddhartha College of Arts & Science, Vijayawada. The title sponsor has been shared by Maxivision and Honda. The Chief Guest for inauguration session was Sri.M.Murali Krishna, CEO and COO of Maxivision and Mr.Jai Pal (Guest of Honour). The Chief Guest for the valedictory session was Mr. Koganti Satyam, an Industrialist. Date : 29 & 30 Jan , 2015. The Department of BBA organised a two day Nation Level Management Meet- MANUS 2K15 Innovation, Leadership, Entrepreneurship. The Overall Championship Was bagged by P.B.Siddartha College Of Arts & Science , Vijayawada. The title sponsor of the event was IOC . The Chief guest for the inaguration Session was Pamashri Turlapaty Srinivas garu , where as Mr. Appaji Reddam Chief of Bureau , The Hindu . Ms.Uma Kumari , H.O.D, BBA dept was the convenor of the event. The Department of BBA organised " MANUS 2K 14 : Language of Talents " a State level Management Fest on 7th February 2014. About 200 Students from different colleges across the state participated in various events viz Business Quiz , Young Manager , Product Launch , Role Play , Paper Presentation , Treasure Hunt and Dance , conducted as part of the Fest. The overall championship was bagged by Maris Stella College , Vijayawada. Mr. A. Sai Kamal , M.D. Mexican Fried Chicken , was the chief guest for the valedicory session of the Fest. Mrs. D.Uma Kumari , H.O.D. 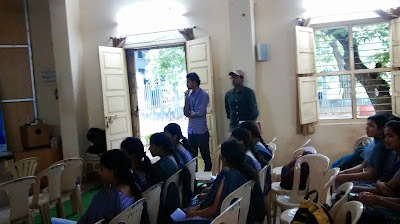 of BBA was the Chief Coordinator of the Fest , while Mr.Mahesh , V.Patil was the Student Coordinator .
" NAVAPRAVARTHAKA 2K16 " was conducted for students of Andhra Loyola College. The event was held in 2 rounds. In Final round the selected team members were asked to present a ppt on any product of their choice. 7 teams were selected . 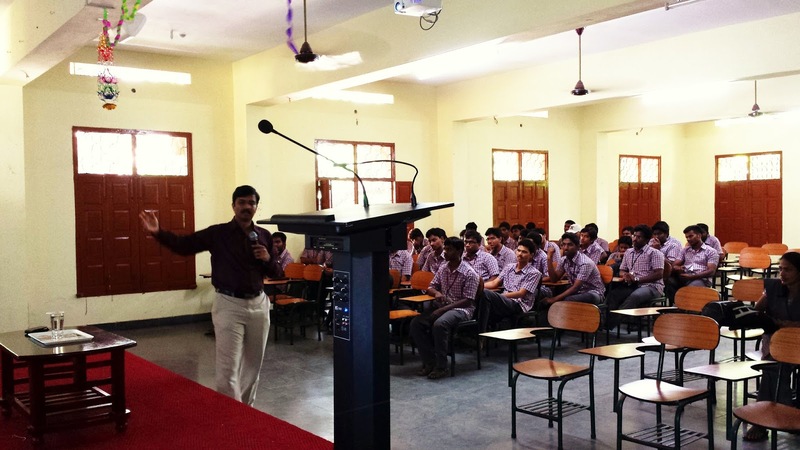 A seminar for students was conducted on 2nd December,2016 in order to guide them towards a bright future. The seminar was presented by M.R.K.Murthy garu CEO of Career Campus.The seminar involved motivation and inspiration. MRK Murthy garu stressed over attitude, knowledge and communication skills and also stated that those are very important for the students to get placements. A wider explanation of CAT and MAT was also given whick would help te BBA students in getting good jobs. On 9th September 2016 all the students of 1st year were taken for a Industrial trip to Coca-Cola factory,Atmakuru. Mr.Shravan kumar and Ms.Anthima were along with the students during the trip. The students were taken inside the industry and were explained clearly about the machinery and working of staff. All the students were offered free drinks from their brand. On 3rd September 2016 all the students of 2nd year were taken for a Industrial trip to Coca-Cola factory,Atmakuru. Mrs.Uma kumari and Ms.Theresa, Ms.Shabana were along with the students during the trip. The students were taken inside the industry and were explained clearly about the machinery and working of staff. All the students were offered free drinks from their brand. 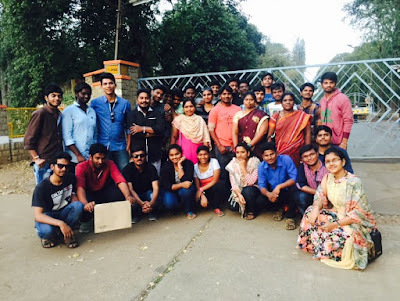 On 27th & 29th December 2016.The students of final year, BBA were taken for an industrial tour to Bangalore.The students were taken inside the factory and explained about process, policies, finance, HR, marketing, recruitment and so on... very clearly. The students posed questions and the HR person answered clearly. Mr.G.Shravan kumar, Ms.E.Theresa Rani and Mrs.D.Uma kumari were accompanied and they were along with the students during the tour. 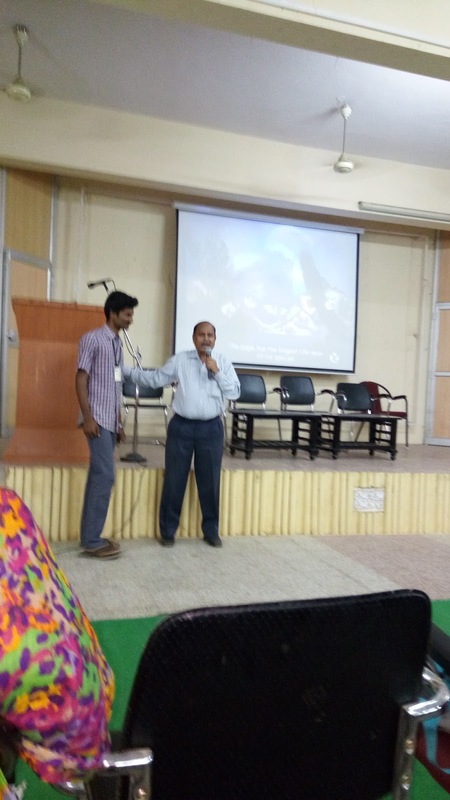 The department conducted a guest lecture on 22nd August 2015 by Dr.M.C.Das , management consultant and HRD trainer in MCD associates gave the lecture about "Dynamics of achievement " and discussed about the concerned topics like Role of a student , achievement of goals , and tools of achievement. ABBA students went to " Nirmal Hrudhay Bhavan" , Bandar road on 10th, December 2015 & donated some of the necessary provisions for them. On 4th August 2014 a seminar was conducted for the students of BBA on the topic Changing Business Models & Sri. 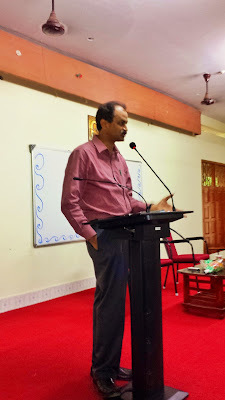 Rajesh Jampala ( Hod P.B .Siddhartha ) attended for that seminar as a guest. On 28th July 2014 Department of BBA conducted Mock Parliment for the students on the topic State Bifurcation . 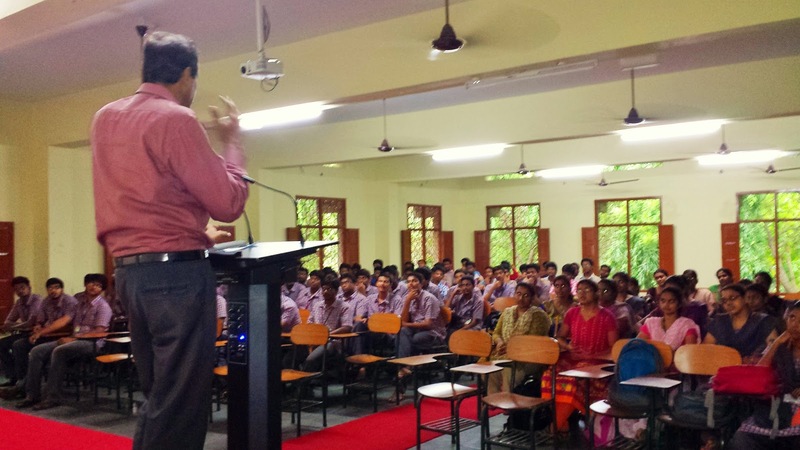 On 9th September 2014 a seminar was conducted for the students of BBA on the topic Capital Market Awareness & Mr.Summet Nayak (Vice - President , Lotus Knowledge wealth ,Mumbai )attended for that seminar as a guest. 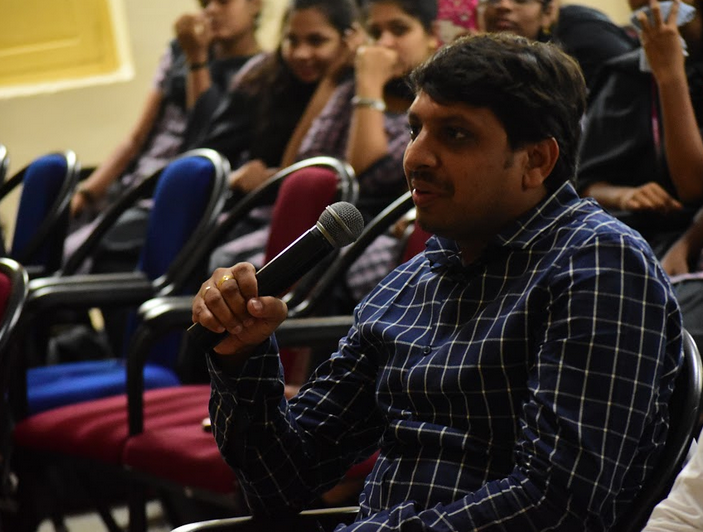 On 18th September 2014 a seminar was conducted for the students of BBA on the topic Importance Of Entrepreneurship & Mr .M.Sai Chaitanya (Team Leader , Exchange Dept.AIESEC ) attended for that seminar as guest . On 24th February 2014 the 3rd and 2nd year Students of BBA have gone to Industrial Tour to Chennai accompained by Faculty members of department of BBA. 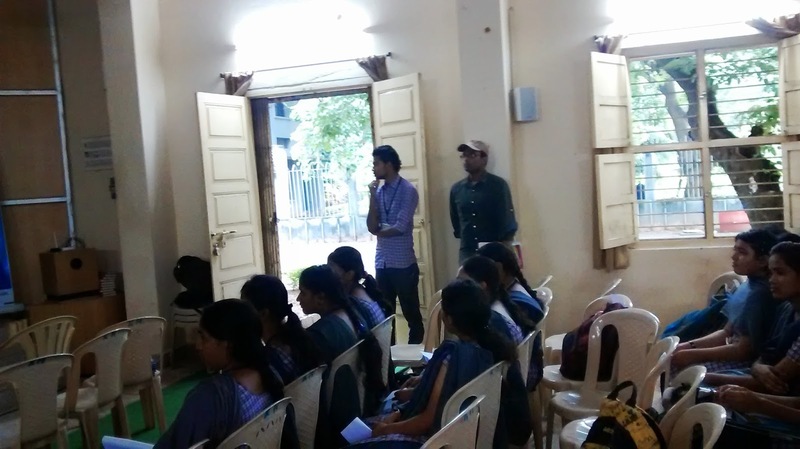 On 27th November 2014 the 1st and 2nd year Students visited Coca - Cola Beverages Pvt.Ltd, at Athmakur. About 70 Students were accompained by the Faculty members of department of BBA. Students of I BBA (35) and II BBA (28) went on a Field Visit to Coco Cola company, Atmakur, on 3rd and 4th September 2012 respectively. 60 students of BBA along with 3 faculty members went on a Field Visit to KCP Sugar and Industrial Corporation, Vuyyuru, on 1st December 2012. Visit to Nirmal Hruday Bhavan (Home for dying destitute): 10 students of I BBA and 10 students of II BBA along with faculty members visited Nirmal Hruday Bhavan (Home for dying destitute) on 15th August 2012 and donated provisions to the inmates. The Department of Business Administration conducted an inter-departmental Quiz Competition on 22nd September 2012. 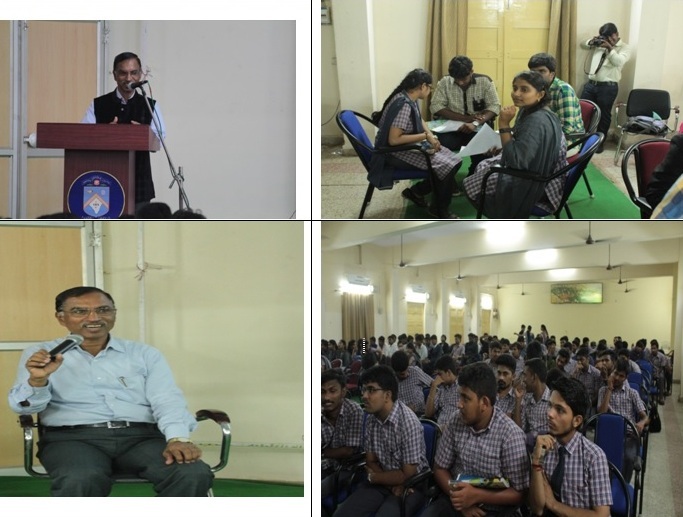 Dr.N.A.Francis Xavier, Dean of Student Activities, was the Quiz Master. Six of the ten teams from various Departments that took part in the Quiz qualified for the finals. The team of the Department of Life Sciences were the winners, while the team of Department of Commerce were runners-up and of the English Department stood third. 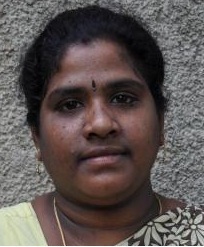 Ms.Madhavi, H.O.D. Busi. Admn. distributed the prizes to the winners. The Department of B.B.A. conducted a Workshop on “Developing a Winning Personality with Soft Skills” on 15th December 2012. Dr.Ramanujam Parthasarathy, Director of ELT, Andhra LoyolaCollege, Vijawada and S.Koteswara Rao, Senior Finance Officer, ITC, were the resource persons.